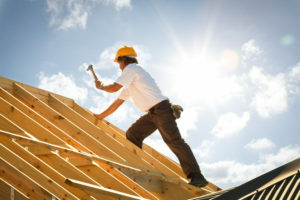 Why Should You Buy A New Construction Home? For first time home buyers, knowing where to start on your home search can be overwhelming. With so many homes on the market and new homes being made available every day, it can seem like there’s an endless number of options available. However, if you want to narrow down your choices, there’s one specific category of homes you should definitely consider: new construction homes. Here’s why new construction homes should be at the top of your list when looking to buy a house. When looking at homes for sale, you’re leaving a lot up to chance. At the very least, you’re having to rely fairly heavily on what the sellers of the home are telling you about the home’s history and condition. If you want to avoid surprise expenses and repairs once you move into your new home, you’re not alone; 34% of recent buyers who purchased new homes were looking to avoid renovations and problems with plumbing or electricity. Purchasing a new construction home can make sure you’re not unintentionally buying into any previous owner’s unsolved problems. If you’ve got a particularly large family, you’re likely going to struggle to find an existing home in your ideal neighborhood that can fit everyone comfortably. Similarly, if you or a loved one have mobility impairments or other special requirements for your home, you might not find a home that comes ready with all the accommodations you’ll need for your family to be safe and healthy. New construction homes mean custom homes build specifically to fit your exact needs, meaning no frustrating hunting for that perfect home that already exists. New construction homes can be built just about anywhere, but they’re far more likely to be built in newer and growing communities. Buying a home in one of these areas means that you’ll get to see the community grow with you and your family, meaning the area is one that you’re more likely to feel comfortable with. Additionally, new construction and custom homes indicate an area that’s likely going to have great regional schools for your kids, so you can feel confident that you’re in a great family environment. For more information on new construction and custom homes, contact Rockwell Custom today. New home construction can be a great option for any family looking to buy a home with confidence. Custom Housing: Which Type Is Right for You?